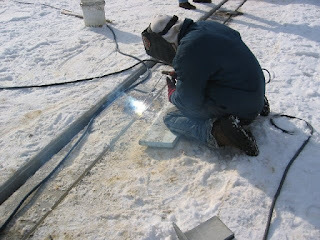 Do I need a welding procedure specification? 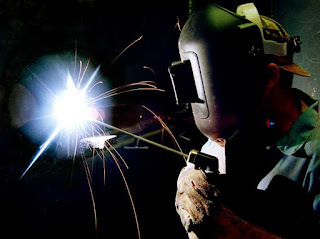 Do I need a welding procedure specification (WPS) for my company when it is just me and all I do is on-site portable welding of a wide range of items? Whether your company requires a WPS depends on the customers you serve. For example, if your company is hired to fabricate your neighborhood association’s new flagpole, using your skills and best judgment would most likely be acceptable. On the other hand, if you are contracted to fabricate steel supports for a new government facility in your hometown, a little more paperwork probably is involved. Review all the documentation from your clients in detail. Ask questions if you are unsure. A common statement found in contract documents is "All welding shall meet the requirements of the latest revision of AWS D1.1, D1.2, D1.5, ASME B31.1, B31.3, API 1104 ..." This statement indicates written weld procedures and documentation are required that show your welders and welding process meet the code requirements. You need to know, before you strike an arc ... before you bid the job, if there are specific code requirements. Does your company need (as opposed to require) written WPSs? Yes! Without a clearly documented and followed process, it is difficult to communicate details of your welding to your customers. With a clearly defined WPS, everyone involved knows what is to take place. Should something go wrong, say that new flagpole drops on top of the neighborhood association president’s new MINI Cooper, you'll be able to show the insurance investigators that you are a professional and the failure was clearly not caused by an uncontrolled weld process. In your company name you use the term Certified. To be a certified welder requires testing, typically to a nationally recognized standard. This is monitored by a third party, often a professional organization such as the American Welding Society (AWS) or a governing agency like the state department of transportation, and administered at an accredited test facility. These organizations would most likely require your work be completed per a qualified WPS to maintain your welder qualifications.